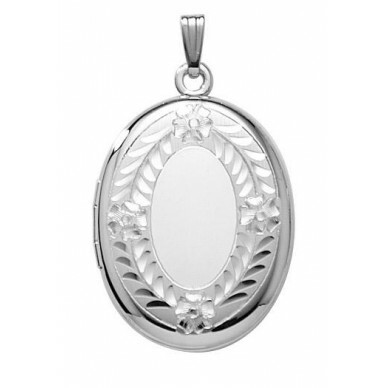 Locket measures 1 1/8" across and approx. 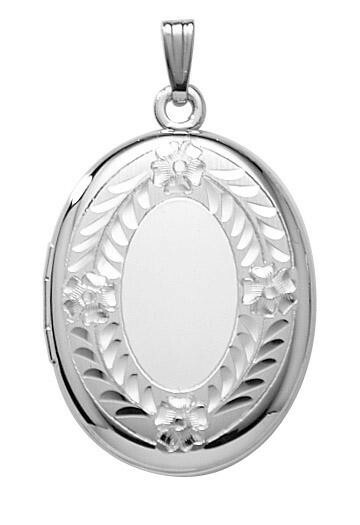 1 3/8" long and features engraved border and smooth center--perfect for a monogram. Includes 22" sterling rope chain and comes with a gift box. 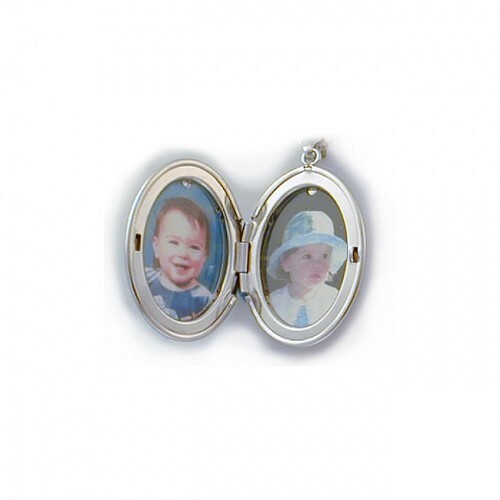 Locket holds 2 large pictures and has a lifetime warranty. Made in USA.